Grillin’ and Chillin’ on the WineGuyMike™ Radio Show© Perfect Wine and Beef for Your Barbeque. 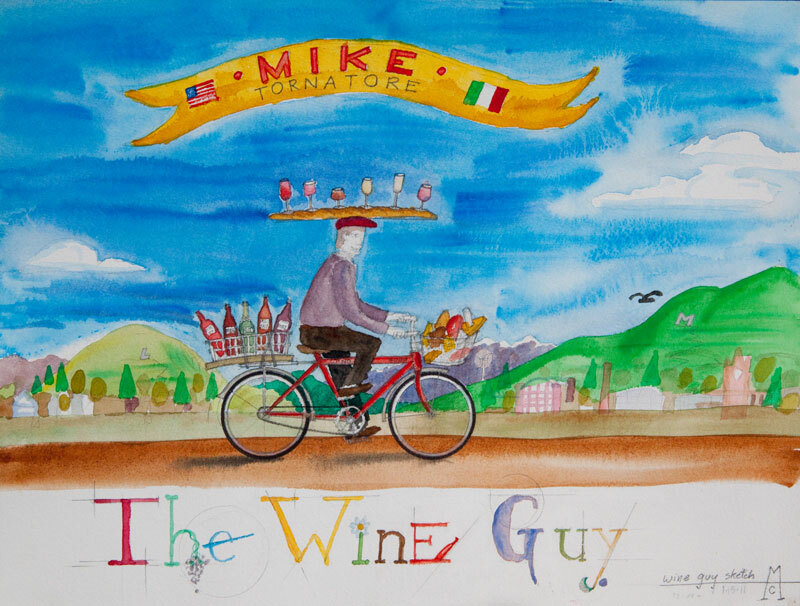 This week on the WineGuyMike™ Radio Show© we’re Grillin’ and Chillin’. The dog days of summer are upon us and I wanted to share with you my thoughts on pairing wines with beef. Its summer and I’m thinkin’ about grillin’ and chillin’. 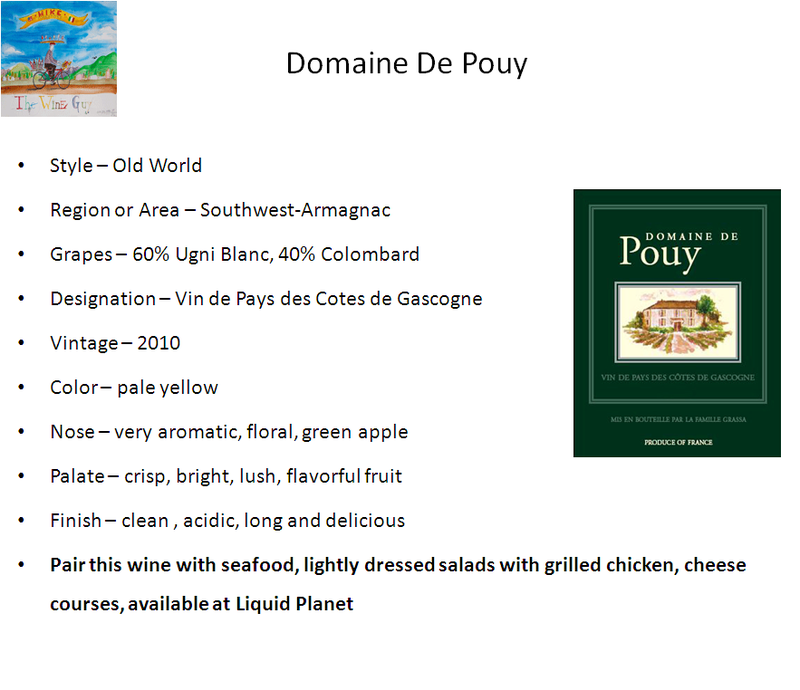 When we think about food and wine paired together it is worth putting a little bit of thought into it. Why? When you match or pair the right food with the right wine it’s like magic, the wine and food not only complement one another they bring out the best in each other. So what do you need to know? Matching wine and food is just a balancing act and here are a few things to think about. Is the food texture heavy or light, how I will be cooking my meal, and are there any sauces involved? 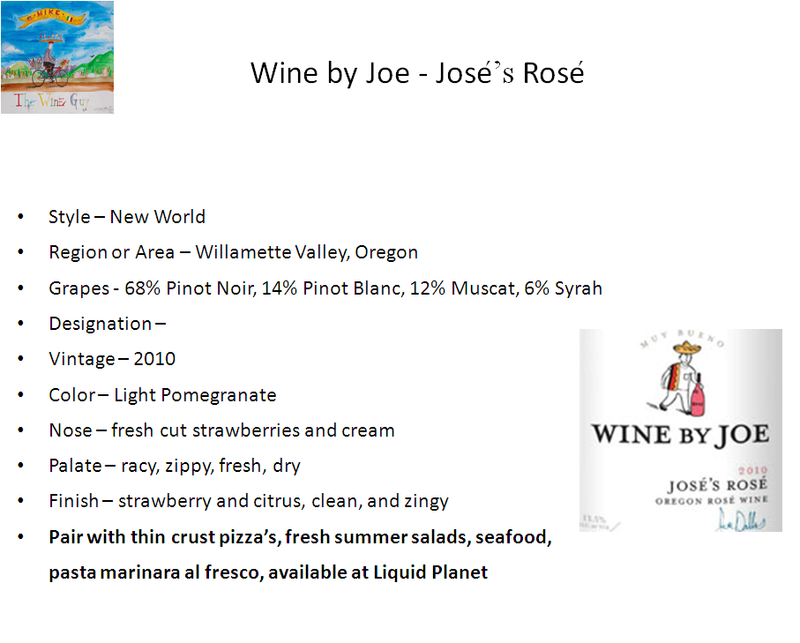 As for the wine piece of this equation what type of wine do your guests and you enjoy. Okay so it’s a beautiful summer day I’ve got some friends and family coming over and I’m in the mood to grill and chill. Now I am thinking about what type of beef I’m going to select, how I’m going to prepare it, and finally how I’m going to serve it. The next thing I’m going to consider is the texture of the particular cut of beef that I’m going to serve my guests for dinner. What makes this thought process fun is when you set down to share your meal with your friends and family and you can let them know about the wine your serving with the meal and why it makes them feel like the special guests that they are. Now let’s talk a little about steak sauce. Most folks like to garnish with a steak sauce and this is something to consider as well. Steak sauce if you will notice on the list of ingredients has a great deal of some form of vinegar included in it, this is a form of acid. One of the reasons these sauces include vinegar or acid is the fact that acid brings out flavors in food and helps to leave a lingering flavor on your palette. If I were to recommend a wine with a crème or cheese sauce I would be suggesting a wine with a high acid content that would be medium to full bodied. A red tomato based sauce such as a marinara would call for a light body red wine, but for this dinner we are grilling steaks. 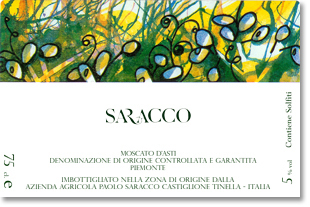 Just as foods have a texture and firmness wines also have a quality of texture. 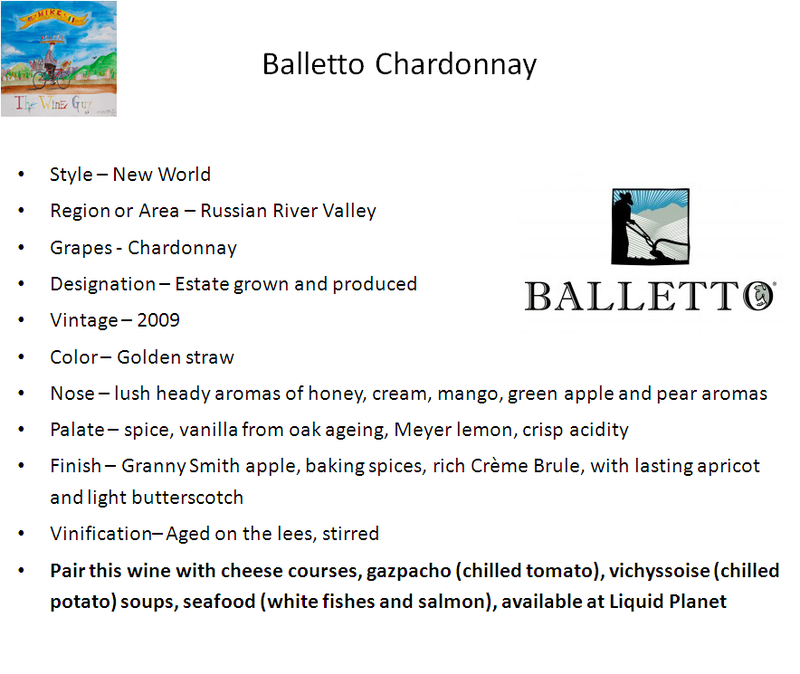 Remember we are looking for balance and a synergy between wine and the foods they are paired with. A full bodied wine bold on texture should not be paired with delicate dishes nor should they be paired with a food dish that is big on flavor. Big wine and big flavor just don’t work well together, we are looking for harmony. A mild food dish would do well to be paired with a medium to light body wine. I’m going to choose some cuts of beef that are my personal favorites. I love prime grade Top Sirloin; prime grade beef is richer and has a much suppler mouthfeel than the standard grade of beef. Just as wine has a texture and mouthfeel so does your beef if you think about it. Rib Eyes are another great cut of beef I love, oh that’s right I love all beef. Beef and wine matched correctly is just a beautiful thing. As I share this love affair of wine and beef with you I would like you to note that I really consider the percentage of marbling in particular cuts of beef as I’m choosing the right wines to partner with my guests meal. The Chuck Section: Hamburger has a higher fat content and will make a tasty, juicy burger that is well suited for a nice fruit-forward Cabernet Sauvignon. A Cabernet varietal is a big, powerful red wine that is full in body, rich, and very flavorful. Cabernet Sauvignon is a wine that imparts flavors of fruits, berries, currants, and plums. This wine may also exhibit slight spicy nuances. 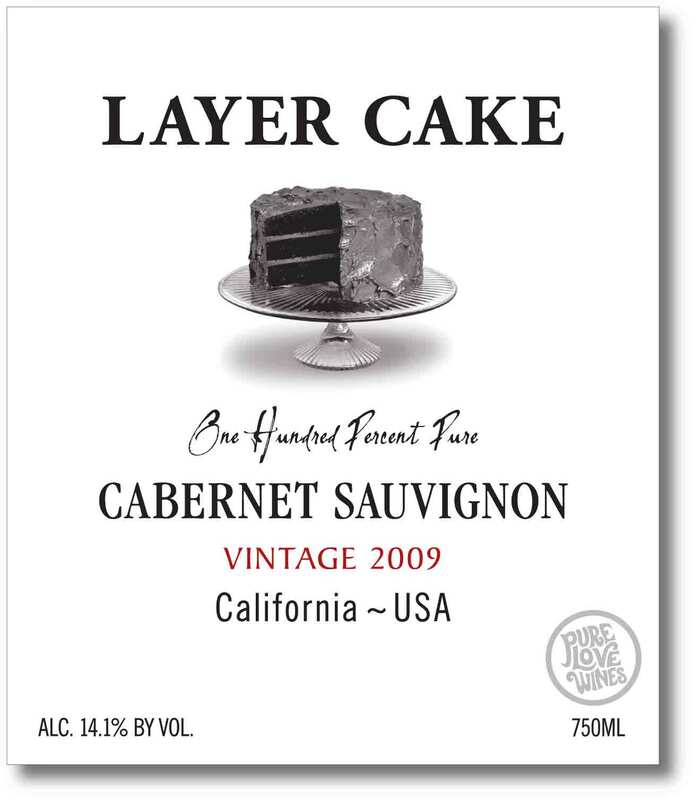 The 2009 Layer Cake Cabernet displays a beautiful deep garnet color. 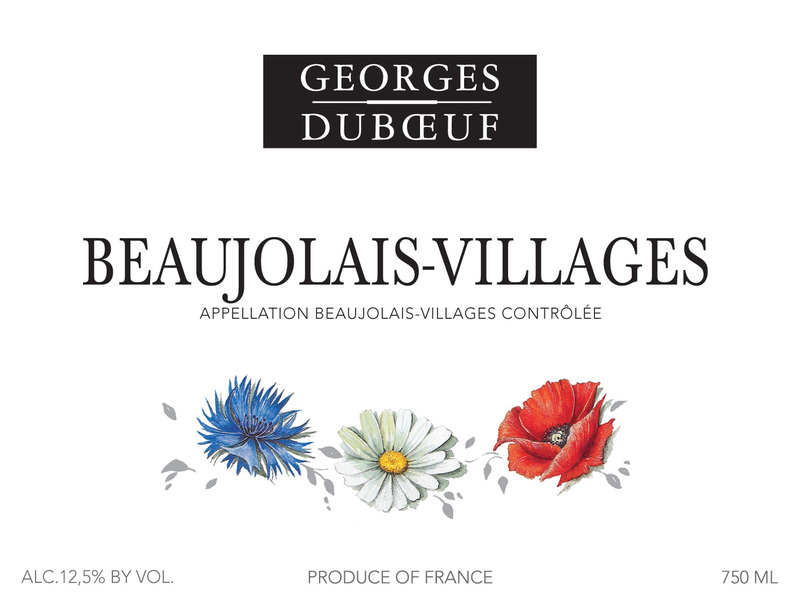 Aromas of blackberry, cassis, violets, cedar, tobacco, and hints of minerals and graphite. Sweet, densely packed and creamy in the mouth, but with firm, underlying structure that gives lift to the dark berry, chocolate, and coffee flavors. This is a very lush, soft, complex wine that coats the palate and spreads out on the long, lingering finish. The Rib Section: A Rib Eye steak that is well marbled is a rich and flavorful will pair well with a bold, spicy Syrah. 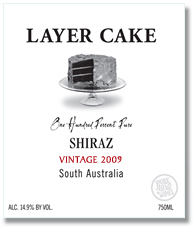 Syrah is a big powerful full bodied wine, also known as Shiraz in Australia. Supple, smooth, rich with well mannered mellow tannins describes the Syrah wines. Flavor wise a Syrah can be slightly spicy, fruity like black cherries, or some may have a deep nutty flavoring. Dark, dense and creamy, complex aromas of black plum, Bing cherry, blackberry and pepper merge with licorice, tobacco, mocha and dark chocolate. This is one inky Shiraz; an explosion of dark, super ripe, wild blackberry, with a touch of cigar box finishing with a mélange of exotic spices. A pure fruit bomb…complete from attack through a long, lingering finish. The Short Loin Section: Filet Mignon is a lean, delicate cut that is well suited to a nice smooth wine with great body. 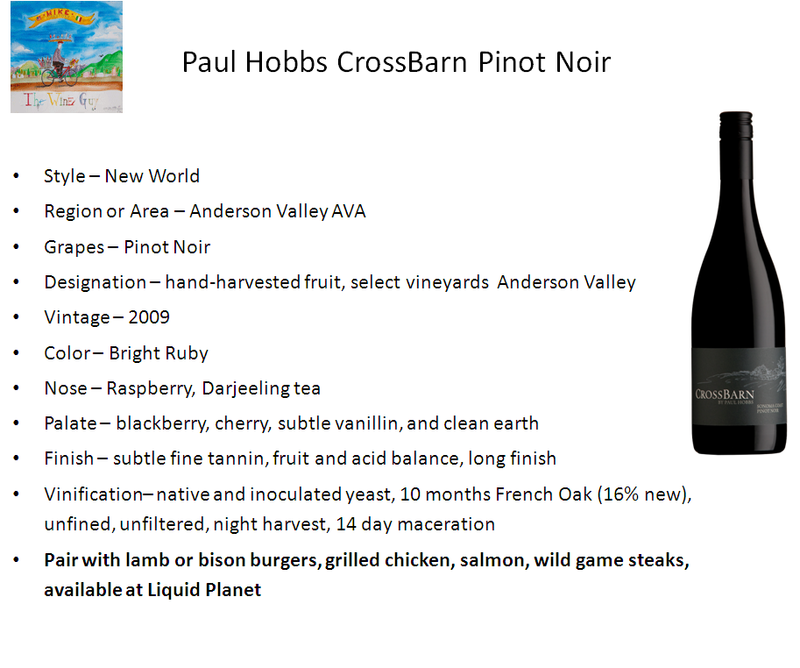 The wine Pinot Noir is the grape variety of red burgundian wines; it can produce wines that are incredible. When aged in oak, it should have a sweetness reminiscent of raspberries, with undertones of vegetation and chocolate. The wine can stand up to aging for many years. 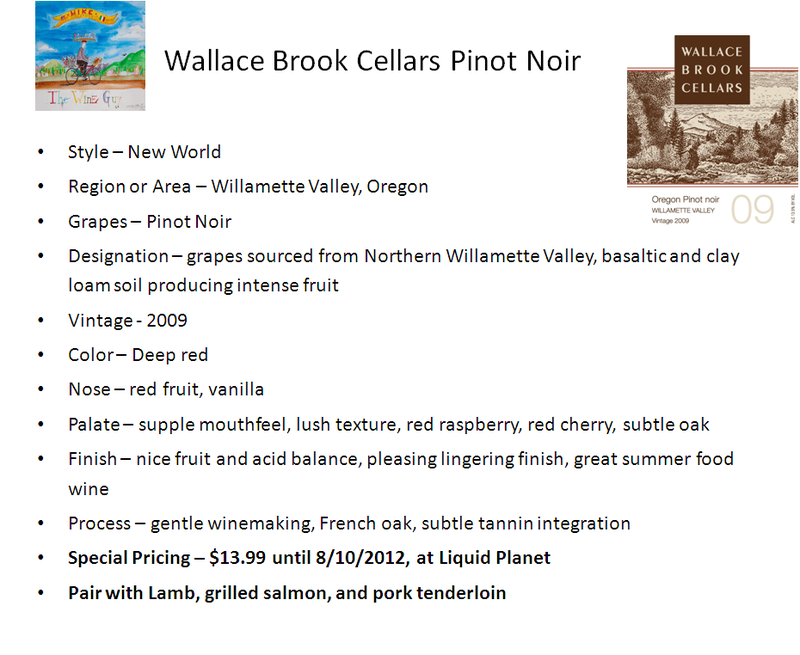 Pinot Noir at its best will be smooth, full of flavor, and have a beautiful bouquet. “With its broad array of origins and clones, this wine displays red aromas (candied cherry, pomegranate and raspberry), on the nose and the palate. In addition, one finds a light touch of brown spices (nutmeg, cinnamon, and allspice). 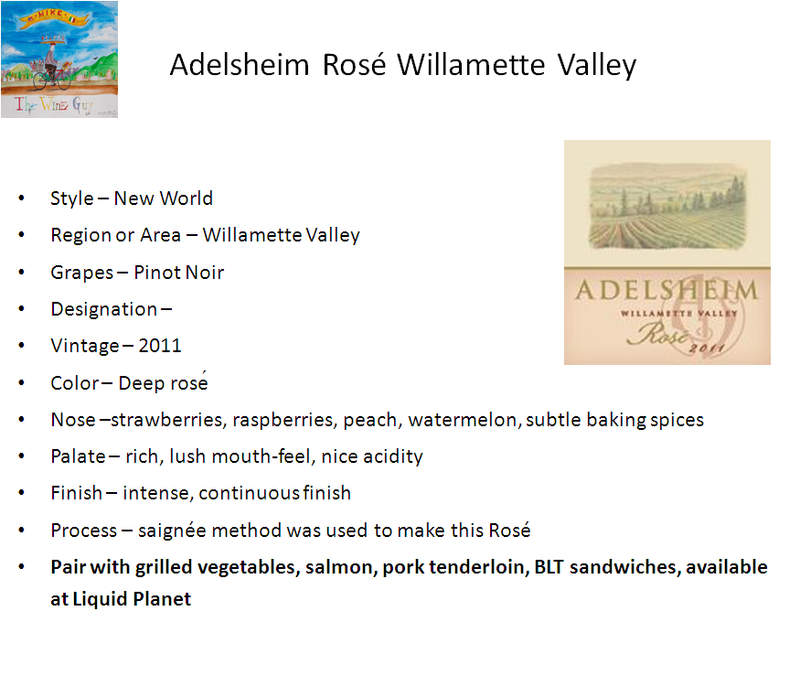 True to the Adelsheim house style, this Pinot Noir is elegantly textured with seamlessly integrated, silky, polished tannins. 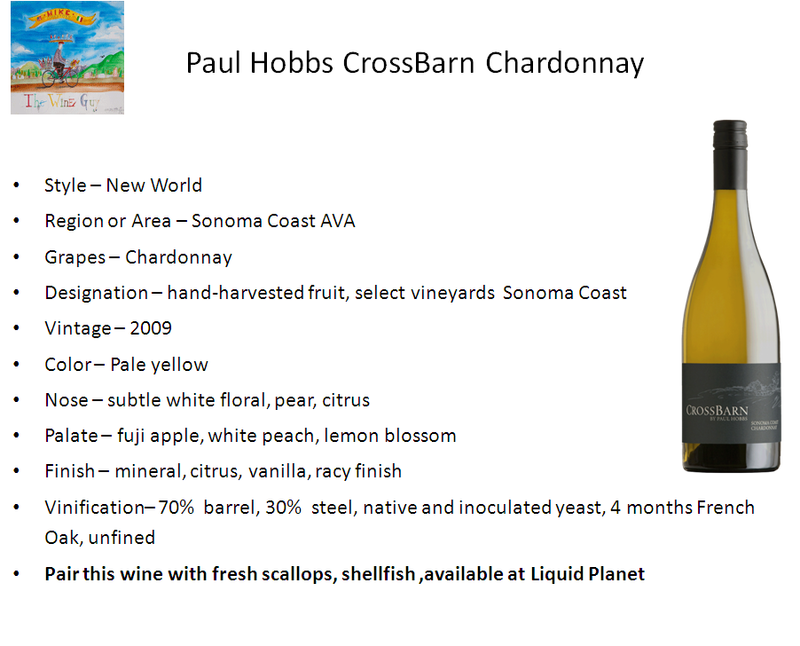 This is perfect match with any Filet Mignon that you serve. The Sirloin Section: Boneless Sirloin is a less tender but tends to be more flavorful than other cuts of meat from the loin section. Malbec is one of Argentina’s finest! A good Malbec will present itself as fruit forward, medium bodied and flamboyant, I love this red. Spicy and tannic at its best this wine can be outstanding. Maipe Malbec – Smooth enough it really doesn’t even need food, and has a 90 point rating. The Mendoza region of Argentina produces amazing Malbec. In this warm dry climate the Malbec achieves near perfect ripeness and have a silky texture with intense flavors of blackberry, peppery spice, and balsamic herbs. The cooler, well-drained slopes of the hillsides of the region are perfect terrior for the Malbec grape. The Round Section: An Eye of Round served pepper-crusted and rare is a very lean, slightly chewy cut. This will pair well with a Red Blend that has great structure. Subplot No 25 – A great red blend from the Columbia valley comprised of 30% Cabernet 27% Merlot 14% Syrah 9% Petit Verdot 4% Barbera 3% Cab Franc. Aromatics of currants, dark berries, black plums, mocha and marzipan linger as the wine enters the palate full of ripe fruit flavors, Black Forest cherries, Boysenberries, and dates layered with cola, resin, graphite and a dash of Thai spice. You will experience a lush and full mid palate prelude that leads to a velour like finish. This wine is great balance of fruit and acidity. Each lot of wine selected for Subplot is carefully chosen each year after they have made their final blends for their top tier wines. 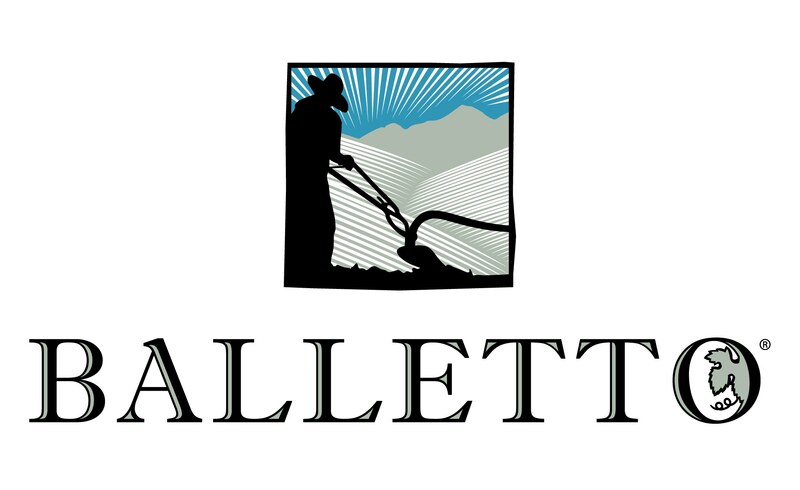 Bookwalter creates a flavorful, full-bodied yet approachable wine by layering vintages, vineyards and varietals in their Subplot wines. Press wine from our oldest vineyards are aged longer in the cellar to help soften the tannins and create more mature flavors and wine from their younger vines and more recent vintages are added to the blend to bring the lush and bright fruit characteristics forward in the wine. The Brisket Section: Brisket that is slowly cooked on the barbeque can be buttery, smoky, with flavors that call for the red fruit and fig aromas and full bodied profile of Sangiovese A.K.A. Chianti, but in this case we are going to take it up a notch and go right to the heart of Tuscany and into the Chianti Classico region. This spicy medium bodied red will exhibit nuances of cherry and raspberry flavor with just the right amount of tannin, acid, and fruit. A nice Chianti Classico will pair so well with the buttery and smoky flavor of the Brisket. 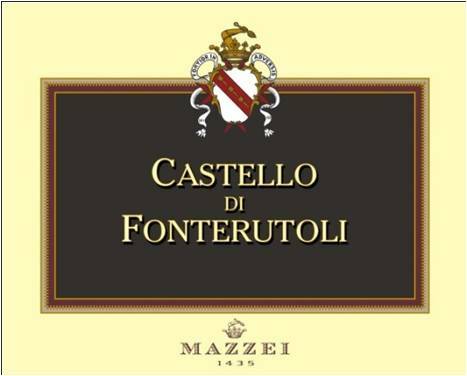 This wine is a stunning composition of strikingly diverse Sangiovese’s notes, some of which are exclusively found on the Mazzei Estate, and have rarely been tasted before. 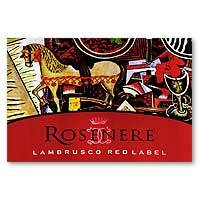 This incredible wine has a deep and impenetrable ruby red color. The wine is incredibly layered, it opens up with subtle hints of fresh spices (black pepper) that develop into perfumes of fresh red fruits (red currant), and followed by more intense dark ripe fruits (plum). 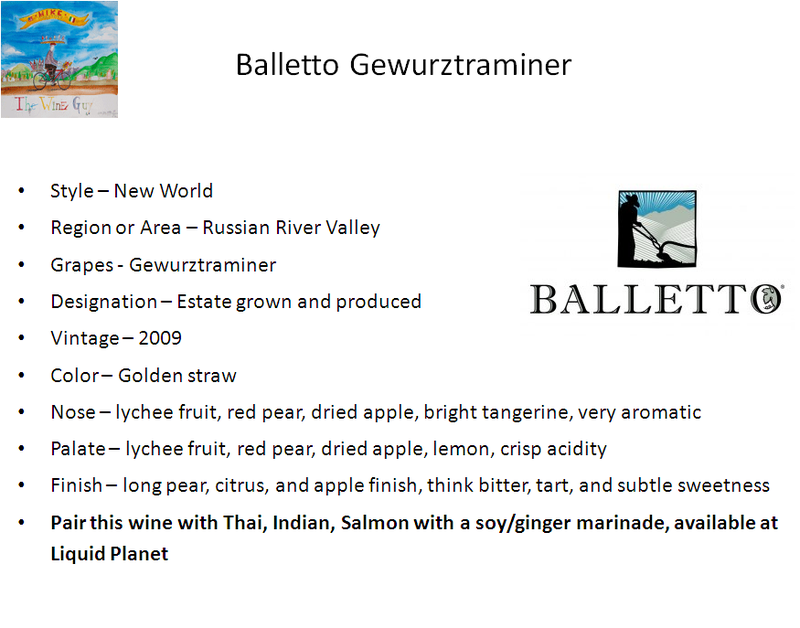 The harmony of flavors is concluded by notes of forest undergrowth and an earthy, musky finale. This is an unbelievable wine. The Flank Section: Thin Flank Steak is best slowly grilled over a low flame. The smoky flavors from the grill and intense beef flavor compliment a Zinfandel. 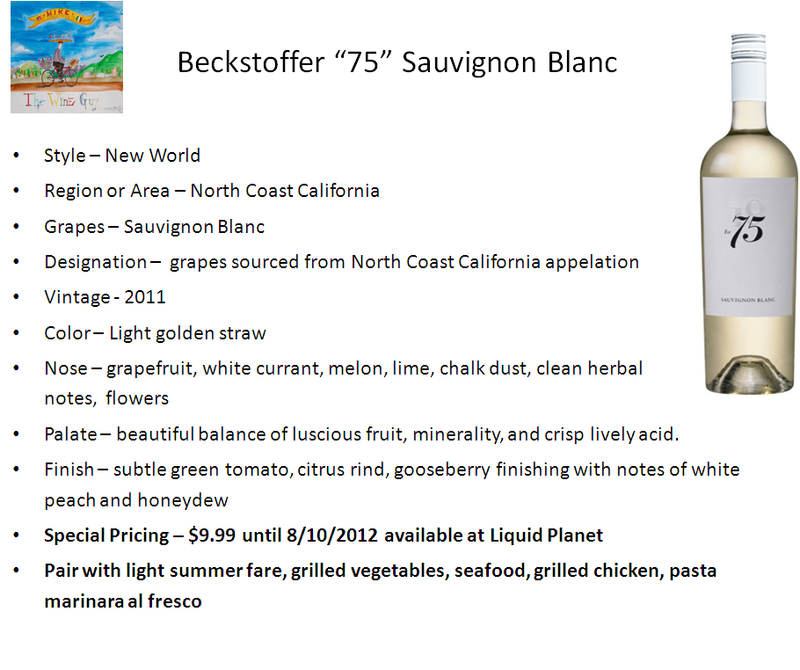 This full bodied, fruit forward, and spicy wine is one of California’s favorites, and most plentiful. Berries, cherries, tobacco, oak, and vanilla this wine seems to have it all. 2009 Plungerhead “Lodi” Zinfandel – This wine is dark ruby in color with flecks of orange. The old vine Zinfandel vineyards ripened evenly in the Lodi heat of 2009. This allowed the old vine character to explode in this blend with aromas of jammy raspberry, hints of orange rind, clove, and rich caramel oak. In the mouth, this Zinfandel has flavors of dried strawberry, dark raspberry, plum sauce, cedar, and pomegranate, with hints of white pepper and cherry liquor. The finish is sweet fruit, toasty oak, and lingering warm spices. Alright head to the store and purchase you beef selection you’ve decided on, stoke up the grill, and open up your wine so it can breathe and be at its best to serve to your guests. They’ll think they are kings and queens, remember keep the wine in the house in a cool place so they are served at the right temperature. WineGuyMike™ raises his glass in a toast to you grillin’ and chillin’ this weekend. Grill on wine warriors! "from my grill to yours"